“Once we’ve got your smile in tip-top shape, we would like to help you get out there and SHINE! 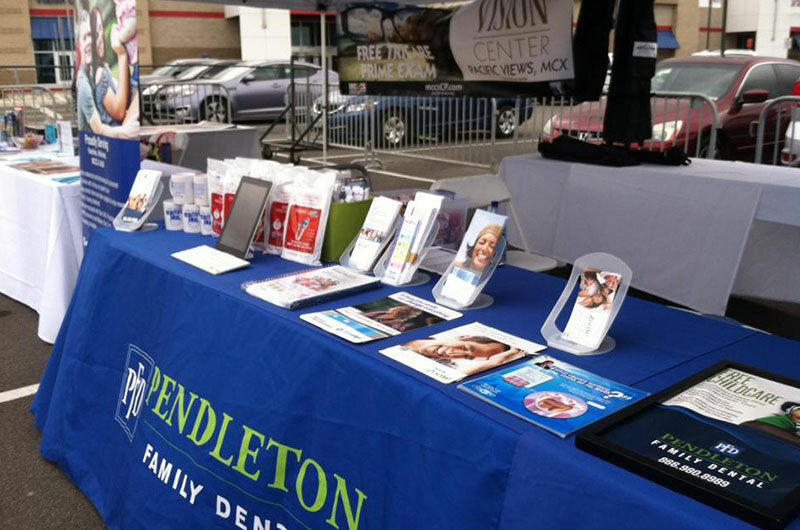 Pendleton Family Dental is a proud MCCS (Marine Corps Community Services) sponsor. This means we contribute sponsorship dollars to fund many of the MCCS events made free for your family right here aboard Camp Pendleton. Some of these event include the Lake O’Neill Fishing Derbies, ITT Ticket Expos, Retiree Expos, Christmas Tree Lighting Ceremonies, MCCS Street Fairs, Library Summer Reading Programs, and many more.